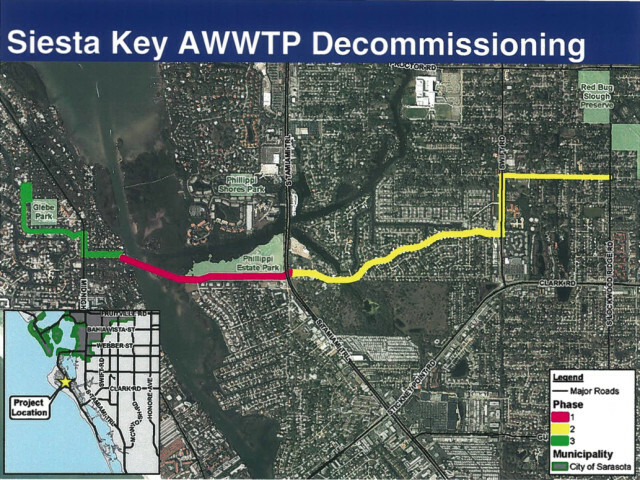 As county staff had anticipated, the Sarasota County Commission this week unanimously approved a $4,370,000 contract for the Siesta Key Force Main and Water Main project that entails constructing pipelines under the Intracoastal Waterway (ICW). 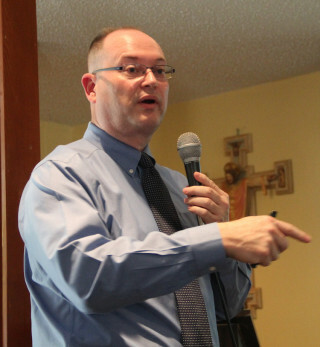 The item was included on the board’s Consent Agenda of routine business items for its April 26 meeting, but county staff pulled it to allow County Administrator Tom Harmer to explain background information prior to the vote. Harmer said the engineering consultant working with county staff on the construction project had expected the bid to be about $5.3 million. However, of the five firms that responded to the solicitation, Southern Underground Industries Inc. of Oakland, in Broward County, was found by county Procurement Department staff to be the lowest responsible bidder, he added, with its $4,370,000 proposal. The other bids ranged from $12,371,936.76 — submitted by Woodruff & Sons Inc. of Bradenton — to $5,153,286 — submitted by Metro Equipment Service Inc. of Miami — a Procurement Department document shows. That information was supplemental to the backup agenda material, he noted, so it was emailed to the county commissioners in advance of their April 26 meeting in Sarasota. Commissioner Carolyn Mason made the motion to approve the bid award after Harmer completed his comments; Vice Chair Paul Caragiulo seconded it. Gregory S. Rouse, the county’s engineering design manager overseeing the transformation of the Siesta Key Wastewater Plant into a master pump station — with treatment of Siesta’s effluent diverted to two mainland facilities — reported that the contract for the second phase of the project would be awarded soon and that it was under budget. He explained that a new 20-inch sewer force main would run from U.S. 41 down the south side of Phillippi Estate Park and across the ICW. Additionally, 5,000 feet of new water line will be installed, using nonmetallic components. Siesta residents who live near the wastewater treatment plant — especially those in the Siesta Isles neighborhood — have voiced increasing frustration with odors and noises from the facility, which had been scheduled to cease handling effluent at the end of this year. Because of delays in getting all the necessary new construction under way, Rouse and Dave Cash, manager of the county’s Water/Wastewater Division, told about 70 SKA members this month that county staff had been able to win an extension of the plant’s operating permit to June 2018. However, county staff is working on a schedule of decommissioning the treatment plant at the end of December 2017, they said. 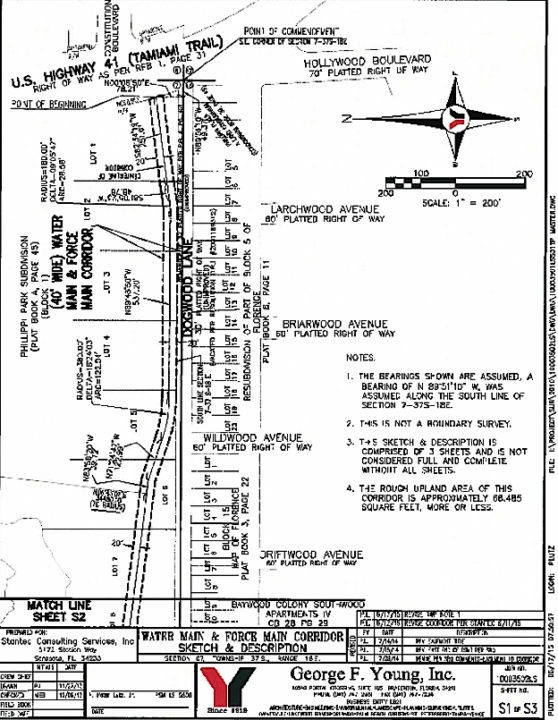 An April 26 staff memo to the County Commission pointed out that the construction of a 20-inch sewer force main and water main, 40,000 linear feet of potable water line replacements, 1,185 central sewer connections, and a vacuum pump station is underway and scheduled for completion in the spring of 2017. That work, which began last month as part of the county’s Phillippi Creek Septic System Replacement Program, encompasses the sewer force main construction from U.S. 41 to Lockwood Ridge Road, which is part of the Siesta project, the memo adds. After this latest project gets underway, the memo continues, regular updates will be provided on the county’s website through the Construction— One Week Look Ahead report. 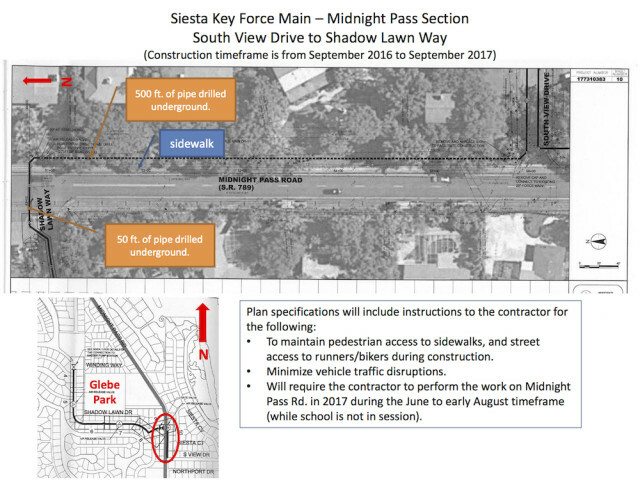 In recent correspondence with SKA representatives, Rouse has addressed residents’ concerns about one facet of the last phase of the Siesta Wastewater Plant project: construction of the pipeline from Siesta Cove, along Midnight Pass Road, to the facility at the north end of Shadow Lawn Drive. That work is scheduled between June and August 2017. Rouse explained that the project design engineer is drafting a Maintenance of Traffic (MOT) document that will be part of the contract. That MOT “will include all work scheduled to be done on Midnight Pass Road, Shadow Lawn Way and Shadow Lawn Drive,” Rouse added. The Florida Department of Transportation (FDOT) will issue a permit for the Midnight Pass Road work, Rouse noted, while the county will issue permits for the segments on the neighborhood streets. “Public input is welcome on these draft plans,” which should be available in about two weeks, Rouse noted. At that time, he continued, he will share them with the SKA. “Final plan review and acceptance will be in the hands of the permitting agencies,” he pointed out. The final MOT — which will be completed by the construction firm after the award of the contract — “will be shared with the [SKA] just prior to the commencement of construction,” Rouse explained. SKA Vice President Catherine Luckner and her husband, Bob — an engineer who serves on the nonprofit organization’s Environmental Committee — shared the information from Rouse’s emails with The Sarasota News Leader.